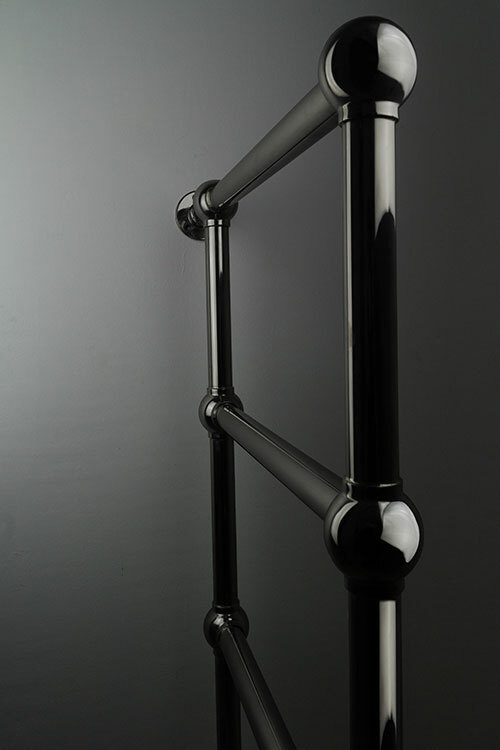 This unique bathroom towel rail has a classic ball jointed style with a contemporary black chrome finish - perfect for traditional, modern or industrial themed bathrooms. 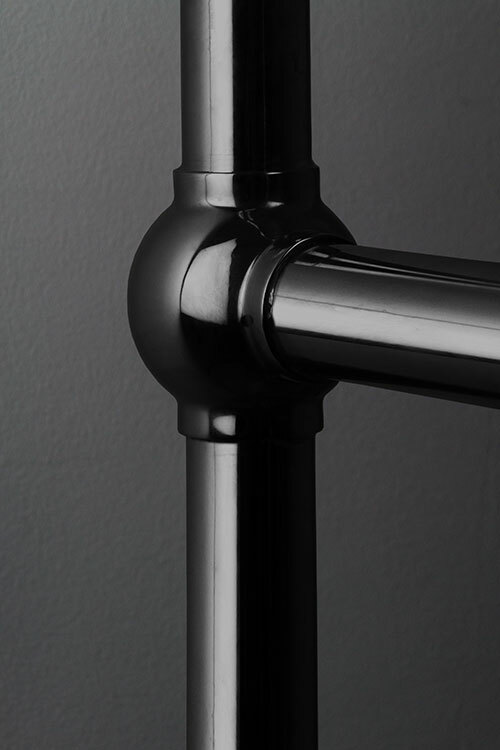 This black chrome radiator is designed to be installed at a right-angle to the wall, giving it a distinctive freestanding appearance. 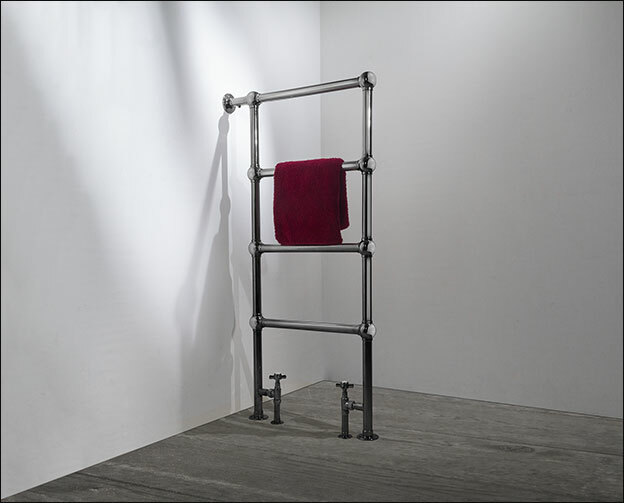 The Henry Towel Warmer is a funtional towel rail allowing extra space either side for hanging thick towels. 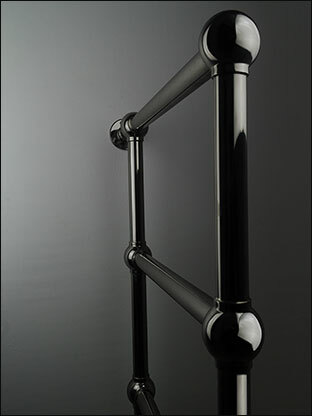 Also available in gold, nickel, copper, brass and stainless steel finishes. 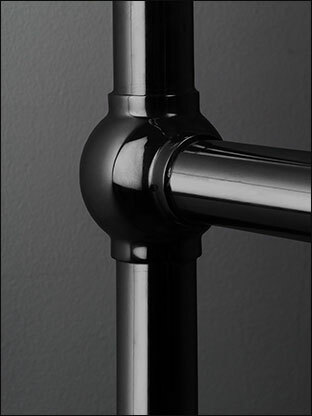 Bespoke sizes and colours on request. 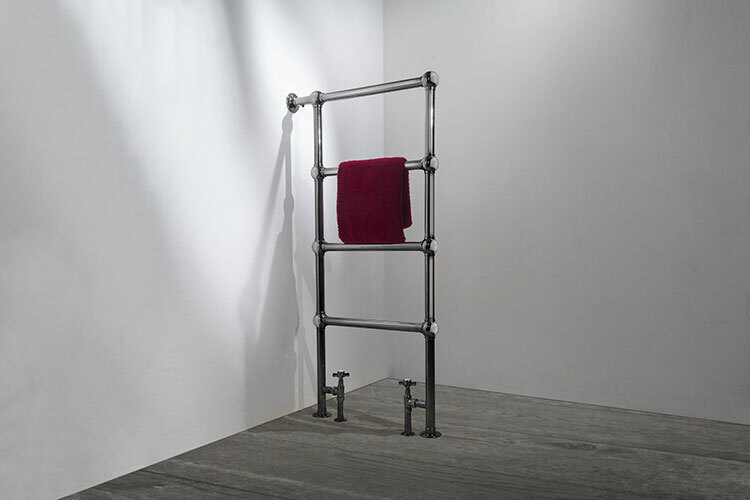 • Side mounted towel rail.